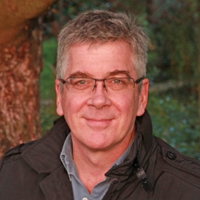 Fergus graduated from the University of Edinburgh in 1981 and has over 30 years’ experience in veterinary GP practice. He spent 20 years developing a community-based companion animal practice, based on a high standard of client care and compassionate clinical expertise. This was underpinned by the strong ethos that “Every animal entrusted to our care is treated as if it was our own”. He enjoyed all aspects of general practice - areas of special interest included x-rays, ultrasound and small animal medicine. His interest in pain management started in 2005 and he has been offering a referral service in pain management for pets across Scotland since 2010, aiming to improve pets' quality of life and to help them live happy, healthy lives. After three years' postgraduate study at the University of Edinburgh he was awarded an MSc (with Distinction) in Clinical Management of Pain in 2014.